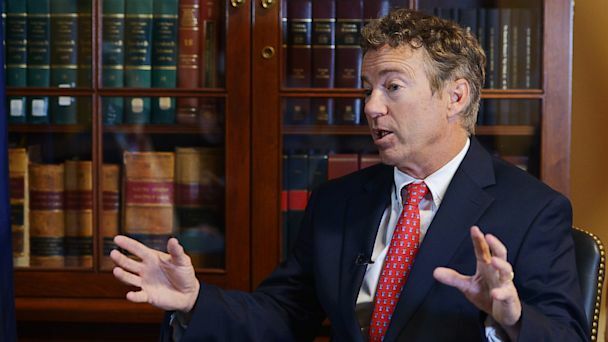 Sen. Rand Paul, R-Ky., defended a Senate aide who once espoused pro-secession and neo-Confederate views, calling him "incredibly talented" during an interview with the Huffington Post. The Washington Free Beacon Tuesday reported that Jack Hunter, who serves as social media director for Paul, once worked as a radio shock jock for two different stations in Charleston, S.C., advocating for secession and the Confederacy. Hunter, who helped write Paul's book "The Tea Party Goes to Washington," called himself the "Southern Avenger" and wore a Confederate flag mask at public appearances. "People are calling him a white supremacist," Paul said in an interview with the Huffington Post. "If I thought he was a white supremacist, he would be fired immediately. If I thought he would treat anybody on the color of their skin different that others, I'd fire him immediately. "All I can say is, we have a zero tolerance policy for anybody who displays discriminatory behavior or belief in discriminating against people based on the color of their skin, their religion, their sexual orientation, anything like that," Paul, 50, said. "We won't tolerate any of that, and I've seen no evidence of that." As a radio shock jock, Hunter once voiced his support for the assassination of President Abraham Lincoln and his opposition to the immigration of Spanish speakers to the United States. In a statement posted to his website Tuesday, Hunter, 39, said he now opposes many of the views he shared as a radio host. "I am embarrassed by some of the comments I made precisely because they do not represent me today. I was embarrassed by some of them even then," Hunter wrote in a statement. "I abhor racism and have always treated everyone I've met with dignity and respect as individuals. This was true in the past and it is true now." Paul said he did not know of Hunter's past views, which the Kentucky senator said he opposes, before hiring him, but said prior knowledge of Hunter's opinions would not have deterred him from adding Hunter to his staff. "I think it's hard," Paul said. "The thing is, I grapple with this. What am I supposed to do? I'm going to have a lot of people working for me. They've all got writings and opinions," Paul said. "It was a shock radio job. He was doing wet T-shirt contests. But can a guy not have a youth and stuff? People try to say I smoked pot one time, and I wasn't fit for office."